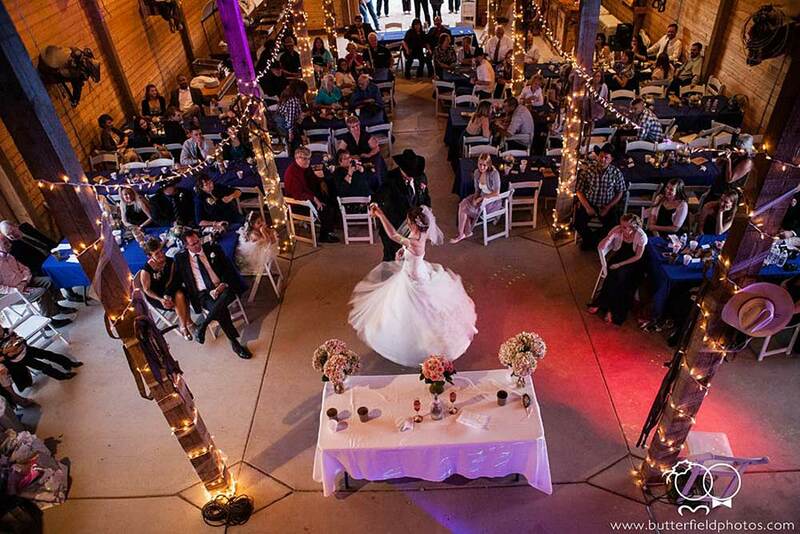 Our full-sized barn is our most popular setting for weddings. 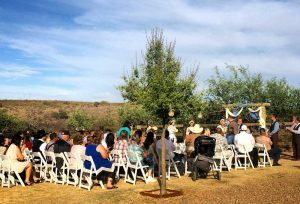 Catering for up to 120 guests we provide an area for an outside wedding as well as a large interior space. 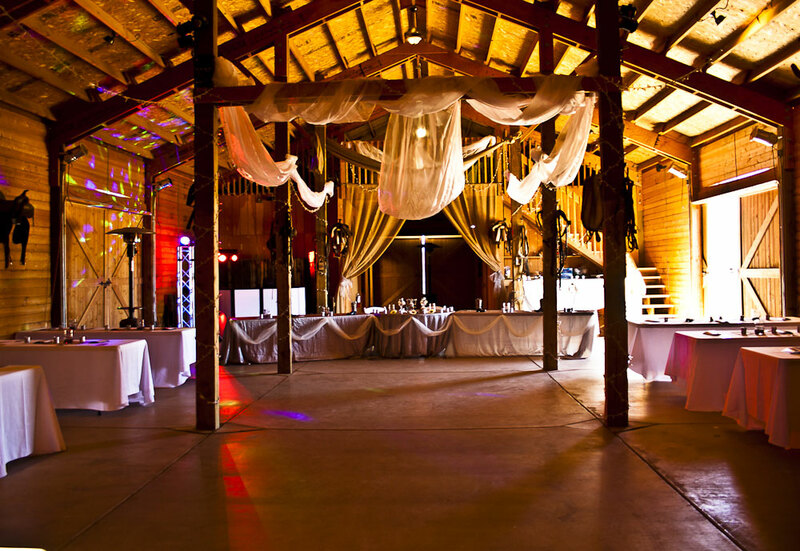 The barn includes bar, bathrooms, space for DJ or live music and a chuck wagon buffet. Furniture can be made available as required. We offer lighting but offer you the freedom to decorate in your own style. One of the principal attractions of our ranch is our Main Street. Designed and built to echo the Old Western towns it provides the perfect setting for a real western themed wedding. 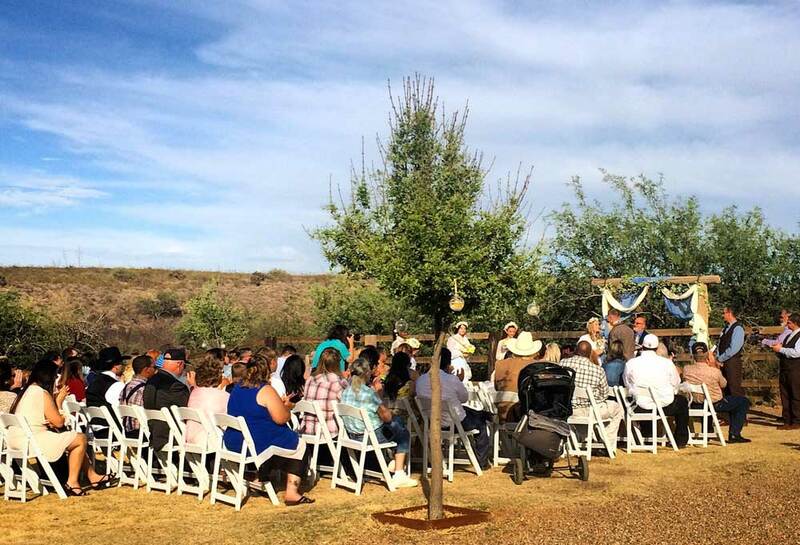 50- 80 guests would be an ideal number for this venue. 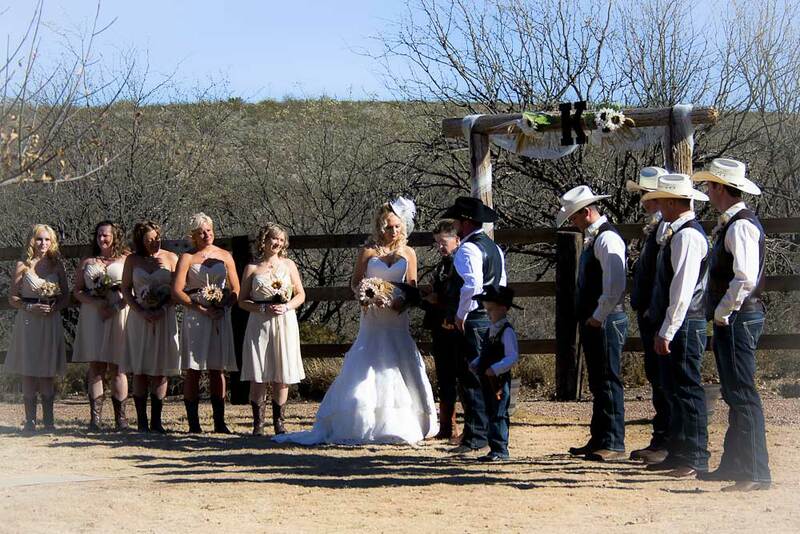 Our Mine Shaft room is ideal for smaller weddings and is also a popular venue for family or rehearsal dinners. 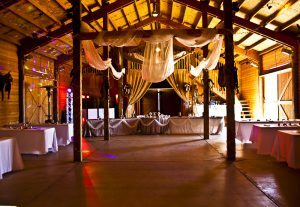 It allows for quieter more intimate events but is situated next to our dining room and saloon if you want ‘break out’ time. Designed in the style of the Old West saloons, our Trappman Saloon (named after the original 1810s owner of the ranch) has been described as ’the best saloon in town’. It features a full sized bar and makes an ideal venue for a ‘fun’ wedding. 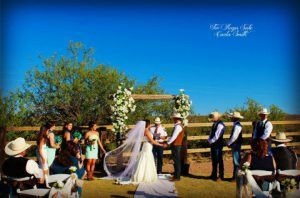 If you want to enhance the romance of your special day our outside patio overlooks the beautifully dramatic Dragoon Mountains, home of the Cochise and the Apache Indians. 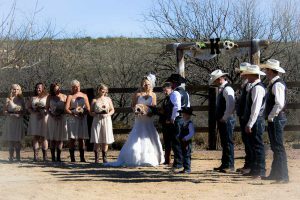 This venue, ideal for a small wedding. The dining room is easily accessed from the patio and makes for a very compact package.